Flexing and extending of joints is what enables us to move and stay in balance. 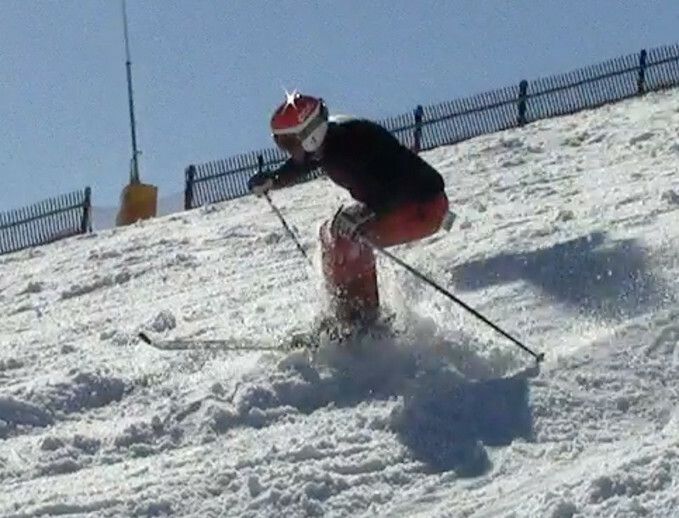 The most important flexing is that of the ankles, knees and hips, all fundamental movements of good skiing. Flexing/extending the ankles is useful for fore-aft balance (Dorsiflexion and plantarflexion). The knees for vertical movements and the hips for fore/aft, vertical and lateral movements, but really they all work together all the time. As a movement, we use flexing to mean the flexing of the leg, i.e. when it becomes short from long, flexing the ankles, knees and hips together. 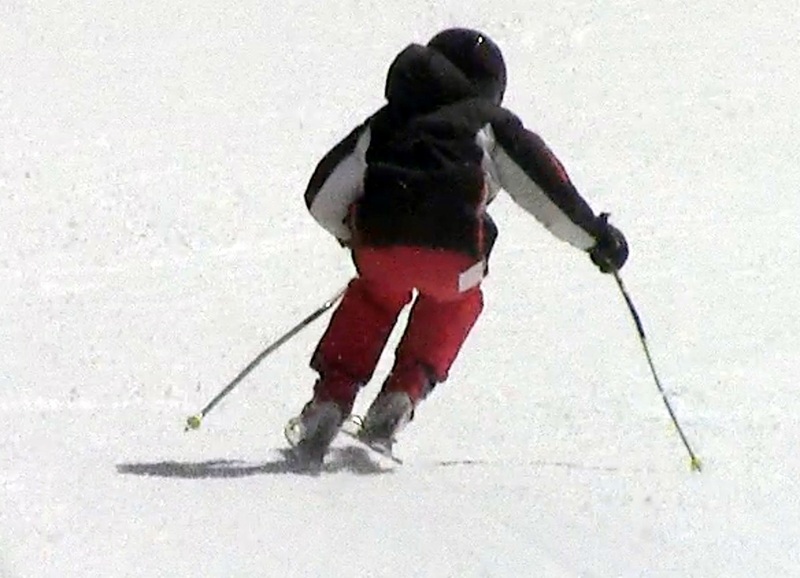 Flexing or shortening the leg is important for weight transfer, releasing, tipping, inclination into the turn and others and a prevalent mechanism in the high end expert skiing, to both release and engage. The flexing starts by relaxing the leg muscles and allowing the leg to flex. Biomechanically, when we say "flexing the leg" we actually mean to flex the knee and hip, resulting in a short leg, while keeping the torso at roughly the same forward angle and the boots largely under the hips, so with an accompanying dorsiflexion of the ankles, as permitted by the boots. The hip flexes in the fore/aft plane as well, to allow the upper body to remain stable. Flexing is part of most effective releases, see Flexed release and Retraction release. See Flexing and extending for a full picture. Looking at the inside leg above, you notice that it is very flexed and this allows the ankle to tip the boot and leg. That leg is also off the snow and you can see how the ski diverged slightly from the outside ski - that is a result of the inversion of the foot and a sure sign that the skier is tipping the inside boot from the foot and ankle as opposed as tipping from the knee (femur rotation). A long leg is very hard to tip on edge, because you have to leverage and move the hips sideways and down. Also, a long leg tends to be weighted, which makes it even harder to tip on edge. It also takes time to establish tipping angles, with an early long leg, see Inclination vs angulation. "Bend the knees" is perhaps the most used phrase in all of ski instruction, for a good reason! So, when both legs are shorter, at the top of the turn, they are much easier to tip on edge. The benefits of learning how to flex well on piste extend to all areas of skiing. For instance, flexing is critical for good bump skiing - the deeper you can flex to absorb the moguls, the better your line can be and the more speed you can carry through the moguls. As a geometrical relationship, when the legs are flexed, the hips are well behind the boots - as with everything else, flexing must be used in relation to other movements (see Recentering). However, having the hips behind the boots momentarily, when the skis are light (so no pressure is required) is not a bad thing - read more about Float, flexing and ski performance. Viewed 2437 times ( | Print ) this page.